Personal Details: Cyril Henry Robert Rosenthal was born in Bagot’s Well near Kapunda on the 24thAugust 1898 to parents John George Henry and Louisa Charlotte Rosenthal. He was one of eight children and the third youngest. He had four older brothers; Sidney Alfred, George Henry, Richard Theodore, Albert John Charles and one older sister Christina Henrietta along with two younger brothers; Victor Arnold and Arthur. Cyril stood 5 ft 6 ½ inch tall with fresh complexion, blue eyes and brown hair and weighed around 124 lbs. Growing up he spent 3 years as a senior cadet in the 80th Battalion Infantry but had to give it up when his family left the district. Before enlisting Cyril worked as a Butcher. Enlistment Details: Cyril enlisted to become part of the A.I.F. on the 6th of May 1916 in Adelaide. He was 18 years and 10 months old when he enlisted. Military Service: On the 12th August 1916 Cyril Rosenthal boarded the H.M.A.T. A 70 “Ballarat” at Outer Harbour in Adelaide and set sail for England. On the 30th of September the “Ballarat” reached Plymouth in England. Cyril however must not have had a good trip over because on the same day of disembarking he was admitted to hospital in Devonport with Pneumonia. He remained in hospital until the 5th of October when he was discharged and headed to Perham Downs. Over the next few months he spent time training with his reinforcement group. The 8th reinforcements were then moved from the training base in England overseas to France. Finally on the 10th of April 1918 Cyril was called up to join the 32nd Battalion. 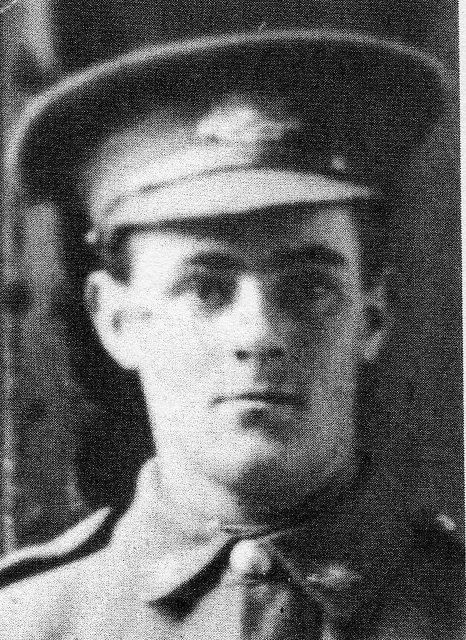 But Cyril’s time on the front line was not to last very long, on the 24th April during the battle of Villers Bretonneux Cyril was wounded with a gunshot wound to the left thigh/buttock and hand. He was sent to hospital and arrived at the 5th Southern General Hospital Portsmouth on the 29th of April. He remained in hospital until the 11th of June 1918 when he was admitted to the 1st A.D.H. Bulford V.D. But he was only to remain there for 3 days before he was discharged to Parkhouse camp on the 13th of June. Cyril then managed to stay out of trouble for the next couple of months until on the 18th of August 1918 he once again found himself in hospital. He was admitted to the Sutton Veny Military Hospital with a serious case of acute Peritonitis. During that time Cyril also contracted Tuberculosis. Eventually the illnesses were too much and on the 6th of September 1918 Cyril Rosenthal died of generalised tuberculosis and peritonitis. Interesting Note: Cyril’s original headstone in the Sutton Veny Churchyard had the Star of David on it, as they must have thought that he was Jewish as the surname Rosenthal is usually associated with the Jewish religion. In late 1996 his family contacted the Australian War Grave Commission and Cyril’s headstone was changed to one which showed the Christian Cross, showing his actual religion which was Church of England as stated on his attestation papers.